In the last decade, no industry has been through as much upheaval and turmoil as the music industry. If you're looking for quick fame and instant success, you're in the wrong field. It's now a democratic, “DIY” business, and any guide to success in these new waters must be told by someone who's already survived them. Giving today's aspiring musicians the practical tools they need to build and maintain a lifelong career, How to Make It in the New Music Business becomes not only a brilliantly compiled tutorial on how to accomplish specific tasks?routing a tour, negotiating contracts, getting paid for Spotify and Pandora plays, or even licensing music to commercials, film, and television?but also a manifesto that encourages musicians to pave their own path. 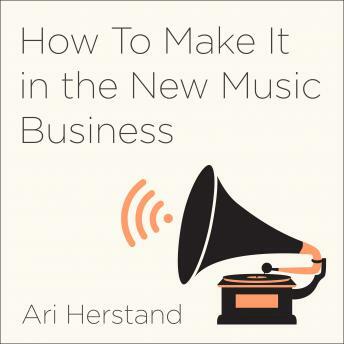 Written in clear, easy-to-follow chapters, Ari Herstand's necessary and definitive handbook promises to redefine what it means to “make it” in the brave new world of professional music.